I am a little over half way through Persian Fire by Tom Holland. All about Persia's rise to power and push for empire and their collision course with the Greeks. I am a sucker for popular history and he pretty much checks that box. I am no fan of the dry scholarly type of history. It bores me. He cites everything without it getting in the way of the story telling so he does his due diligence. My one criticism is that he has some clunky sentence structures sometimes (at least they seem that way to me) and it forces me to reread lines to absorb it. It's like walking up the stairs in roller skates in my brain. Overall I have enjoyed it, though, it's taking me a really long time to finish it. Too much stuff like modding, gaming and Youtube getting in the way. It's like walking up the stairs in roller skates in my brain. The American Revolution: A World War by various authors. Very interesting book assembled by the Smithsonian Institute. This gives a different slant on the Revolution than we are used to getting in this country. A hint: France and Spain did not come in because they were sympathetic to our republican ideals. 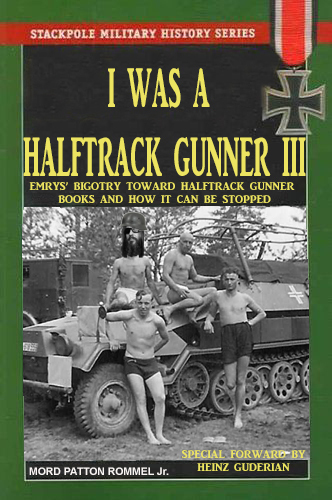 That would be nice, but I have yet to see a book with the title I Was a Halftrack Gunner and I'm not holding my breath. They are out of print, though. 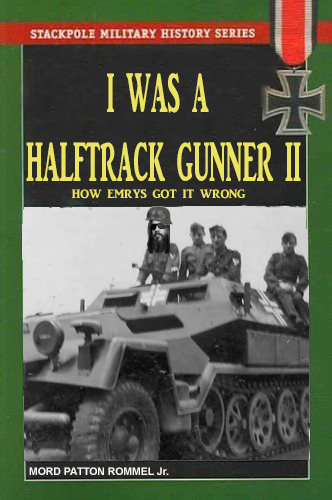 Who knew Emrys' complete and utter (and embarrassing I might add) ignorance on all things halftrack gunnery would lead to the fastest sell-out in Stackpole's storied publishing history. They were so appreciative of his knowledge deficit which lead to my best selling series, they put a plaque with his name on it above the urinal in the executive bathroom! 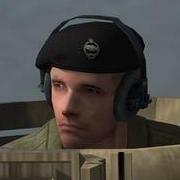 And of course my fame within the Halftrack Gunnery community has never been greater! Thanks, Emrys! LOL. Yeah, hard to believe it was 14 months ago! Man. I switched hosting sites so you should be able to find these next year! They seem to be (imgur) much better than where those originals were hosted. My pics weren't even making it a month. Jerks killed a great meme! But hey, what is time when you have a chance to piss in Emrys' Cornflakes? Still funny now though - I couldn't stop giggling when I saw those 'front covers' the first time which is why I had to hunt them down, have a like for finding them again. LOL. Thanks! Rejoice, a meme reborn! 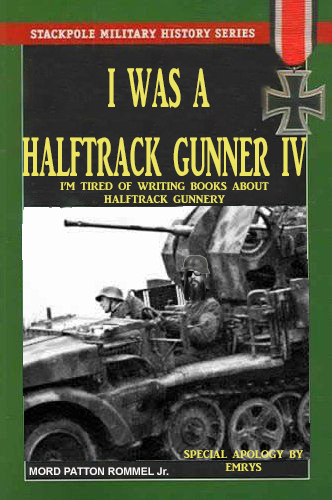 I'm reading "The Savage Wars of Peace" and "Demons" right now, but I'd kill for one of those Halftrack Gunner books. I read "The Day of Battle" and enjoyed the hell out of it. I still haven't read the other two. But man, I hope he knocks it out of the park. Like I said in my first post, I love history like this. You should, they're truly fantastic. I do own them but just haven't gotten around to them yet. I am cursed with too many interests. But yeah, I loved the Italy book. When it comes to WWII/Nam etc. I have always preferred memoirs because of how much they put you in the trenches (and how it relates to CM), but he managed to strike a great balance between the upper echelon stuff all the way down to the grunts. It never felt dry or boring. I was engaged no matter what level of the action he was describing. I hope he does that with this new trilogy. Man, I have so many books to read right now, it's crazy. Stuff on Rome, the War of The Roses, the Crusades, French Revolution, the Byzantines, and a ton of WWII back log. I usually try to read in line with my main gaming interest at the moment. But, I will try and push those forward, I know I am denying myself some good reading. I hope he does that with this new trilogy. I need to check that out. My reading on the American Revolution is quite sparse - Middlekrauf's classic The Glorious Cause and not much more. I hear you. I have imposed myself a ban on buying stuff unless I make progress through the backlog. I am reading this thread. After that f***ing book post, I don't blame you! I don't think I've read much of anything on it since school. Which is curious because it was my favorite war up until I got into my 20s. I've been meaning to read Shaara's books on the Revolution for years and still haven't bought any. I read his father's Killer Angels book and liked that a lot. I am gonna join you. No new books in 2019 until I read at least 20 that I already have! It works out though, I'm broke so I can't buy any anyway. LOL. See how I timed that? I am not sure where I acquired my bibliophilia from but damn, I've been like this as long as I can remember. I'm broke so I can't buy any anyway. LOL. See how I timed that? „Going strong into the desert“, by LtCol Mike Snook. Just finished the excellent Rising Sun Victorious, Peter Tsouras, Editor. A bunch of military historians independently examine alternate paths for various military actions Japan could've taken and what the probable result would've been. Some real surprises await. Great resource for PTO books. Resumed intermittent reading of Andrew Nagorski's superb and easily readable The Nazi Hunters, which not only covers the people involved but shows how vanishingly little actual prosecution occurred, despite the authorities having the goods on the perps. To give you some idea, they had enough evidence to bring 3000 former Einsatzgruppen murderers to trial, yet only 14 were tried and 3 were executed, if memory serves. With Communism looming over Europe, not to mention Germany and Austria not really interested in exposing their criminal pasts, most of the interest dried up, though here and there some Nazi war criminals were much later identified and prosecuted. Trying to decide between Jason Marks's Death of the Leaping Horseman and Valeriy Zamulin's Demolishing the Myth. Spot reading of the former blew me away, but I've been dying to read Zamulin's book, which is going to be enormously more demanding. Here's hoping it's not super turgid like The Battle of Kursk, by David M. Glantz and Donald M. House! 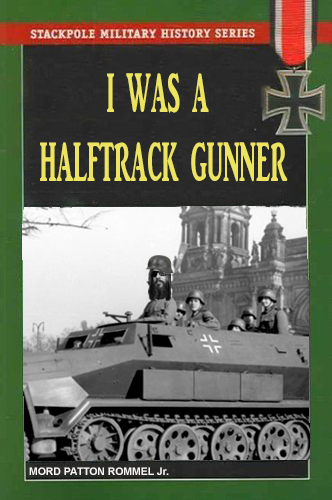 Your halftrack gunner books are mad genius level clever and twisted! The British Are Coming looks like loads of fun. 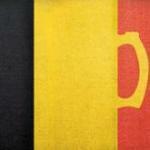 Unfortunately, it's in the same eventually category as the StuG Willie's IDed as a target in Bill Mauldin's Up Front. I'm halfway through American Courage, American Carnage: 7th Infantry Chronicles, The 7th Infantry Regiment’s Combat Experience, 1812 Through World War II by John C. McManus. So far it's a page turner, sometimes meager on details regarding the grand scheme in which the battles are fought, it's a tale of how the Cottonballers lived, died, during the combats and between.